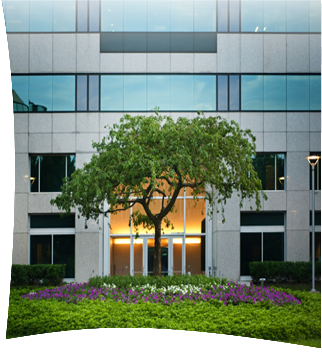 Founded in 1987, Atlanta-based OLM, Inc. blends an understanding of sound property management with correct horticultural, agronomic or cleaning practices into a unique program designed to derive the maximum potential from each property. OLM is dedicated to assisting our clients in protecting the investment in both the landscape and interior facilities, while ensuring the visual qualities of the property help market your valuable assets. 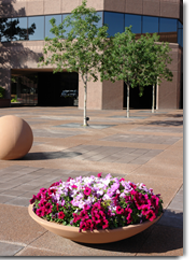 OLM develops Performance Payment™ based specifications and contracts, conducts the bid process, and provides long term management and quality control for Landscape Services and Commercial Janitorial Services. Our unique bid process guarantees potential service providers will bid “Apples to Apples” on uniform specifications, and will perform the maintenance based on industry leading standards. Your service provider delivers the work while OLM assures the quality that protects your investment. OLM’s services are provided nationally for commercial office properties, retail, resorts, medical facilities, universities, CDD’s, HOA’s, and CID’s. As mediators, OLM helps service providers and property managers improve communication. Our clients tell us that OLM’s management system helps them become more productive and efficient, allowing time for them to address the many issues they face today. OLM’s Performance Payment™ based contractor management system provides incentive to either in-house or outsourced service providers to consistently perform at the highest level through proactive management practices. If the service provider does not meet the set standards on the monthly inspection, they lose the monthly Performance Payment™. It rarely happens twice.